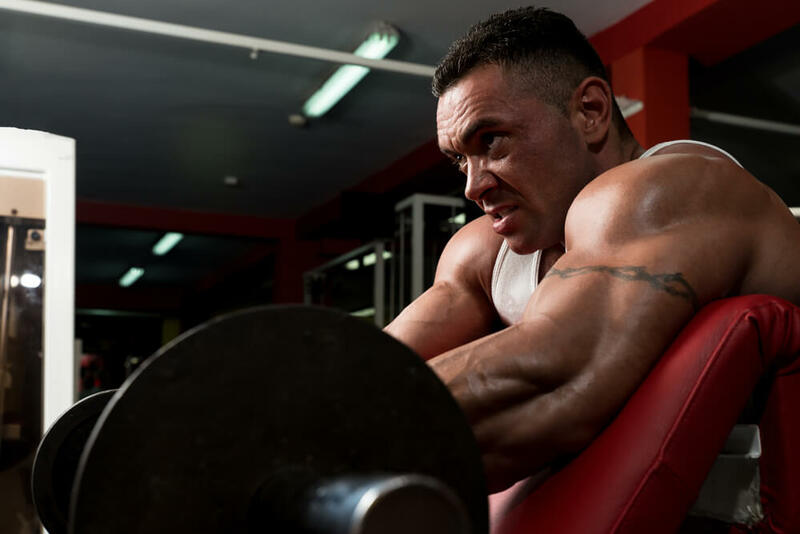 All of the most successful bodybuilders, physique competitors and strength athletes are constantly searching for different techniques to increase workout intensity. After all, if your workouts cease to challenge your body, your progress comes to a halt. There are almost endless different ways you can up the difficulty and intensity of your training. Not all methods will be suited to you or your goals. Thus article will cover some of my favourite techniques for pushing yourself in the gym and enhancing your muscle and strength building workouts. Please note, most of these techniques are slightly more advanced in nature and should only be added once you have built a foundation of strength through more simplistic programming. I will start off fairly basic and straight forward. If you have been around the gym for a period of time, it is quite likely that you’re at least somewhat familiar with super sets. A super set is a very simple way to increase workout intensity; you perform 2 different exercises back to back, with no rest in between them. Performing exercises in this manner means you can get more work done in a much shorter time period. Supersets can be designed in a few different ways. For example, you can work opposing muscles like the biceps and triceps, which allows for a more time-efficient workout since you replace your rest periods by working a completely different muscle. Some individuals prefer to work the same muscle with two different exercises in order to get more work out of a muscle group. For instance, an individual may pair up a bench press with a dumbbell fly to really tax their chest muscles. If you are looking to increase workout intensity, drop sets cannot be overlooked. They were a favourite of Arnold Schwarzenegger and are still of a favourite of many bodybuilders today. I actually have an entire post dedicated to drop sets if you want more in-depth info on them. A drop set involves you completing a target number of reps with a given weight, decreasing the weight and then immediately continuing to perform more reps. You can drop the weight as many times as you wish, double and triple drop sets are very common. Drop sets are a great way to work through different rep ranges and change the demands of a muscle within the same set. They also make sure you get as much work out of your target muscles as possible. Pyramid training can be a really fun way of making an exercise more challenging and they are very simple to do. Pyramid training takes a given weight and a target number of reps then decreases the number of reps as you perform each set. For example, you may bench press 225lbs for 12 reps on set one, 11 reps on set two, 10 reps on set 3 and so on until 1 rep is reached. It should go without saying here that the initial set needs to be taken close to failure. Otherwise, the subsequent sets will be way too easy. The rest period must also be controlled and kept to around 2-3 minutes. Pyramid training is an excellent way to push through strength plateaus as you are forcing yourself to do more a high number of reps with a given weight. German volume training (GVT) was first brought to people’s attention in the 1970’s by German weightlifting coach Rolf Feser. Vince Gironda is also known to have popularised this training style. GVT is actually based on the superset method covered earlier. The idea of the method is to subject your muscles to an extraordinary amount of volume in a relatively short period of time to elicit a hypertrophy response. To perform a GVT style set, you are to perform a superset of opposing muscle groups. The rep scheme to use is 10 sets of 10 reps with 90 seconds’ rest between each superset. For these sets, a weight that is around 60% or your one rep max is recommended. If you don’t know your max, go for a weight that you can perform around 20 reps with. The first few sets will probably not feel too difficult. However, the short rest periods between sets and supersets will accumulate a lot of fatigue. By the time sets 7 and 8 come around, you should be feeling the burn. An example of a GVT set: Dumbbell bench press x 10 reps + chest supported rows x 10 reps, rest for 90 seconds before repeating for a total of 10 rounds. For most exercises, this one will require you to have a partner on hand. The premise of this training method is to overload the eccentric portion of a rep to incur more muscle fatigue. 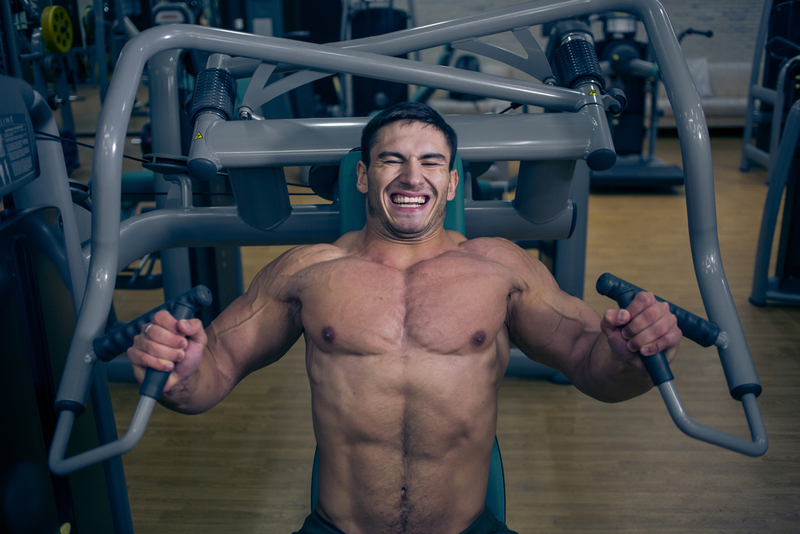 The eccentric part of a rep, also known as the “negative”, is the lowering phase. On the bench press, it is the portion of the lift where you bring the bar to your chest. 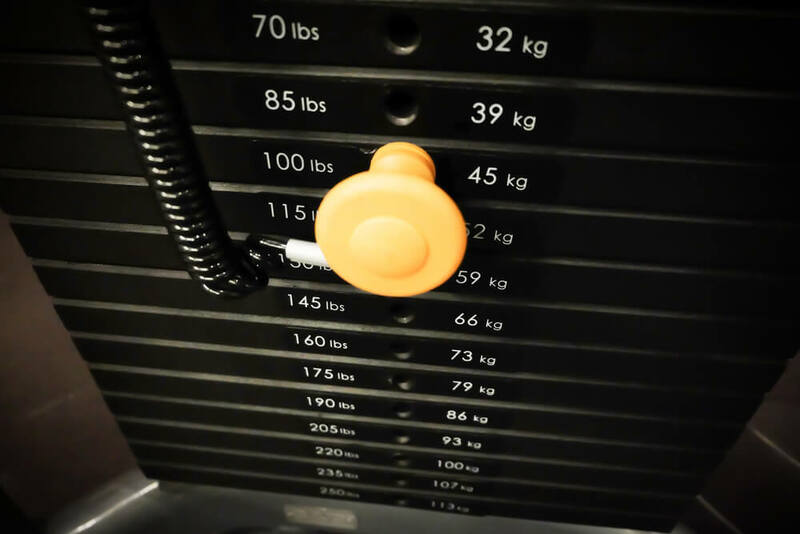 During a lat-pulldown it is when you are returning the handle back to the top. Your muscles are actually stronger and fatigue slower during the eccentric part of a lift, which is what this training method takes advantage of. By using a partner to help you lift the weight after you have reached failure during the concentric part of a rep, you can fatigue the muscles even further by just performing the lowering phase. Here is how it would work for a bench press: You perform 11 reps with a given weight and reach muscle failure on the 12th, your partner now aids you in lifting the weight but you lower it by yourself for another few reps. Somewhere around 2-5 extra reps is a sensible amount to stick to. All of the techniques listed above are excellent for making your workouts more challenging and forcing your muscles into extra growth. However, they will only work if you apply the same principles of overload to them. Meaning that you must still seek to use make improvements over time. To make sure you are improving, no matter what methods of training you use, you have to be keeping track of as much of your training as possible. This is where the GrowBig fitness tracker app will help you out. Unlike many other tracking apps, it can be used to program and keep a log of all of the methods mentioned above. There are even pre-installed programs dedicated to methods like German volume training and supersets. Get started on the way to more efficient, effective and intense workouts by clicking here and downloading the GrowBig app. How can a fitness tracker help keep you accountable?